In addition to skills development, Maxwell’s leaders focus on a point of safety emphasis that’s relative to the team’s job duties with the goal of ensuring a complete and comprehensive understanding that will help workers daily on the job. Our Service Technicians are subject to a wide array of potential risks through the course of their daily tasks, and it is everyone’s responsibility to make sure that we are prepared to identify and mitigate such threats. 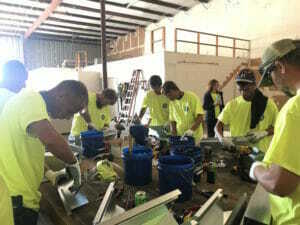 During our Fall 2018 PSW held in September, the topics discussed and practiced were metal roof repairs, field fabrication and installation of sheet metal components, and general ladder safety. 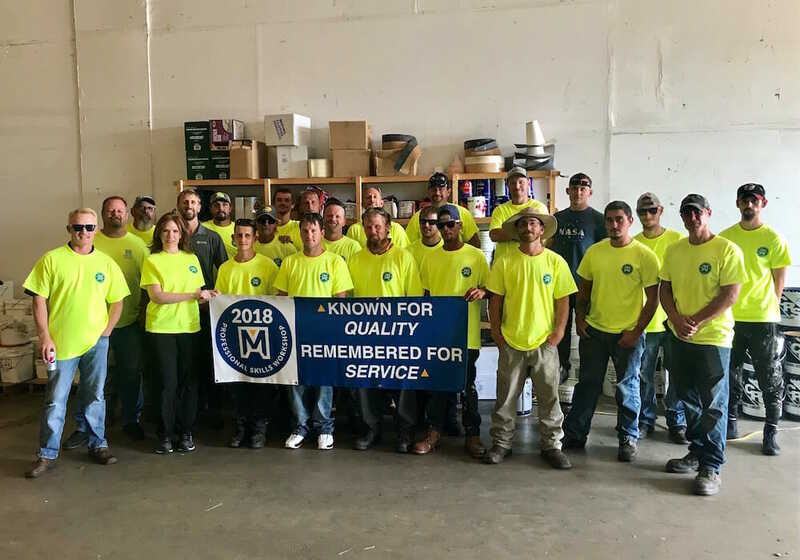 Participants present were the entire Service team, including Vice President of Services, David Maxwell, our Account Managers, Estimators, Project Manager, Inspector, and all Service field personnel. “I’ve worked in the commercial roofing business for almost 20 years, but I’ve never stopped learning. 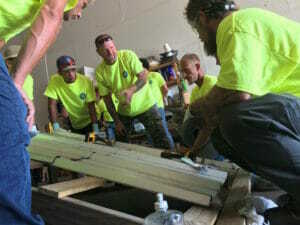 With constant changes in materials and methods in the roofing industry, our Professional Skills Workshops help us all to stay informed and up-to-speed on the latest skills, methods, and safety procedures. During this recent PSW, I gained a lot of new knowledge about metal roofing and how to properly make cuts,” affirms Gary Brockway, a lead service technician at Maxwell Roofing. These PSW days also serve as a great opportunity for Maxwell employees to get together and bond as a team, cementing their mutual respect and support for the contributions of the whole group. “The primary takeaways from PSW days are just as much about positive team-building moments as they are about skills development. We learn so much from each other when we are working toward common goals,” says David Maxwell. If you’re looking for a commercial roofing partner who values training and continuing education and skills, we invite you to learn more about our services or read how we’ve partnered with businesses like yours.